For today we have part 4b of Angel Investing Best Practices and will be covering the last two major elements within Evaluation… The Product and The Market. Recall that Evaluation is often considered in three major parts, the team, the product and the market. On the last edition of best practices, we covered an overview of evaluation and the team. This episode will complete the evaluation portion with the last two elements. So let’s first start out with the section on the product… in some cases referred to as the idea or technology category. These should be very high-level goals/milestones for most startups. Naturally, risk decreases as you progress through these stages and as risk decreases, valuation will often increase. The Pre-Sale: If Market Validation and Proof-of-Concept are testable without investing significant capital and time on the product… do it first. Smart commercial founders will attempt to sell a product before it is even built. While Kickstarter and Indiegogo are only appropriate for certain types of startups, they can be a great, early indication of market adoption. Solutions: Remember that correct problem identification is very important, but that is the easy part. Finding the right solution to those problems is the challenge. Look for startups that understand the problem, but have the insight, customer-focus and commitment to creating the best solution. Founders define the solutions. While often customers can help in defining the scope and nature of the problem, it is not their role to define the solution. While counter-intuitive, customers will often not suggest the most appropriate solution to their problem… they are not innovators, they are only one data point in the broader market and their viewpoints are often constrained by what makes sense to them today… not what is possible in the future. That is why innovators exist. Customers are great for testing solutions but not great at defining them. Revolutionary: Solutions should be an order-of-magnitude better than what exists today. When you think about the new way to solve problems, it should be creating a market or fundamentally changing the paradigms of competition in an existing market. Evolutionary product development is fine for large corporations or even local businesses, but in the startup investing space where exceptional growth and returns are required, the focus is often on revolutionary technology. Good ideas look Bad: Many of the best ideas, look bad and near impossible early-on. And as discussed previously, consensus ideas are priced for lower returns. Pain killer vs. the vitamin pill: Companies addressing big problems can achieve big outcomes. Some will discuss the nature of must-have benefits vs. nice-to-haves or the pain-killer vs. the vitamin pill. Is this startup creating an incremental, evolutionary solution or are they doing something revolutionary. Are they scratching and clawing to take market share in an established, defined market… or are they fundamentally changing the definition of a market and/or creating a new one? Purchase Friction: Look for startups that eliminate friction in the use-model and purchase cycle… Relevant maybe more for B2C than B2B… but startups have to capitalize on impulse purchases. Why do you think Amazon has spent so much time and effort on their one-click purchase cycle. The more friction, time and clicks it takes for customers to buy, the more will drop off during the process. EOU: And, after purchase, if onboarding and use is a friction-filled process, then customers are unlikely to continue use. Ann Winblad spoke of the three characteristics they look for in software companies… the quality of software, the quality of customer engagement and the ease-of-use. Defensibility: a proprietary position via Intellectual Property is certainly not a requirement for success. But some form of defensibility is very important as cheaper, me-too offerings will emerge in the absence of some defensibility. Examples of non-IP sources of defensibility include: Network effects, long-term embedded arrangements, high-switching costs, execution, regulation, brand. Consider briefly USV’s investment thesis, as articulated by Brad Burnham. Their thesis: Large networks of engaged users, differentiated through user experience, and defensible through network effects. While that concise statement captures a range of critical evaluation items… look closely and you’ll see that each of the elements in their thesis incorporates some measure of defensibility. That concludes the section on Product. Let’s move on to the final evaluation segment, the Market. Sectors / Verticals: We have discussed the merits of specializing in verticals and sectors as an investor with particular expertise. Whether one decides to focus or not the key is that the weight of evaluation criteria will change with each. Recall Steve Blank’s comments from episode 28 about how his Investment Readiness Level scorecard changes for different industries. In some, the most weight will be placed on product-market fit. In others, it is regulatory approval. In pharmaceuticals and biotech, I’d imagine a completely different set of criteria than the standard. A clear understanding of market and industry will help tremendously in assigning each factor’s importance. Purchase Intent: There are many market research methods for estimating purchase intent or percentage of leads that will convert into customers. But maybe the single best indication is: Are prospective customers asking if, when or where they can buy? Founding teams should be spending significant time w/ their customers and if they’re not asking to buy, the startup should be questioning whether they have the wrong product, wrong distribution strategy, wrong timing, wrong market or just the wrong startup idea to begin with. Customer Behavior: B2B customers are often motivated to adopt new products and services for one of two rational reasons. 1) It will increase revenue or 2) It will decrease cost (ie. expand margin). Consumer behavior, on the other hand, is very difficult to predict. B2C customers may purchase based on emotional, physical or physchological reasons. How does a product or service make the customer feel, change their perception of self, change perception of what others think, adjust their perceived quality of life, reduce pain, reduce fear, increase power and control… the list goes on. As Charlie O’Donnell discussed in episode 6, there are markets with consumers that will not and should not be expected to behave rationally. When assessing these situations, market research can help, but actual sales testing is better. Even the best hypotheses need to be adapted. Has the startup made zero contact with the customer? If that’s the case, it’s a big red-flag. Primary & Secondary Targets: Understand SAM and TAM. The served available market, SAM, is the target today. With the existing solution the company can go after this narrowly defined niche or sub-segment of a broader market and get significant traction with a very compelling value proposition. The TAM is the total available market that can not immediately be served. I will include a tip of the week in a future episode that further defines this, but the TAM should be very large and represent the eventual market that the business will be able to access. Angels are rarely the target market. This seems to come up very often in angel meetings and startup reviews. Often you hear investors say, “there’s no way anyone will buy this.” And it can be really hard for angel investors to relate with say a dating app for millenials. The problem here is that the investor is often NOT the target market. When evaluating, it can be much more beneficial to disassociate one’s own buying compulsions and rather analyze the adoption and engagement metrics for the primary target market. Key Customer Benefit: “Better, faster, cheaper.” We’ve all heard the tag line and many angels use it as the foundation for their investment decisions. Conceivably if a startup can do an existing function better, faster and cheaper they should be successful, right? While that is great, it’s not answer to everything as you’re probably well aware at this point in the best practices discussion. And, in general, boiling the ocean, over featuring a product, or attempting to address all of a customer’s problems with one solution is rarely a winning strategy. You may notice with many successful startups that they actually have incredible focus on addressing one key pain-point and developing a solution with one key benefit. Clearly, the offering will present other advantages beyond this one key benefit… but the startup is not focusing on an MVP with 20 features, solving 10 pain points. They are focused on the most important pain point, and by the nature of innovation often can address other pains as well. Take for instance a recent medical startup that I recently reviewed called Provazo. They have developed a product that allows doctors and techs to quickly and easily take blood from admitted patients without re-puncturing their skin with a needle each time. This process is faster, it’s cheaper, it allows lower-skilled technicians to perform the procedure, it eliminates errors and it reduces patient pain. But the single most important problem that this startup is solving is a reduction of infection. This is a tremendous patient, doctor and hospital issue that results form taking blood… which ends up costing the hospital a lot more money for a variety of reasons. The startup, has laser focus on solving this problem b/c while the other pain points solved are great, the are nice-to-haves. The Key Benefit that will compel a purchase is infection reduction. Without this benefit, there is no product. Of course, in a market such as this, there are other very critical hurdles, such as regulatory approval, but this still illustrates the point on customer benefits. And the reason why I’ve included this element in the Market section as opposed to the Product section is that it relates more to the customer and the key problem being solved for them. So while Provazo has developed a better, faster and cheaper product, if they win, it will be because they went after the biggest pain that affects the highest number of customers in their target market. Passion vs. Obsession: Steve Blank talked about how he built a culture of customer obsession at a previous company that allowed them to look like a blur to competitors. Marc Cuban has famously written and advised entrepreneurs not to follow their passion, but rather follow their effort. Personally, am I passionate about my favorite sport, college basektball… yes. Do I want to found a startup in that space… certainly not. Obsession seems to result from situations in which founders are passionate, have knowledge in the space and an uncommon drive to change the behaviors of those in that market. Are you looking for passion or targeting those with effort and obsession? How long will it take for a critical mass of the market to accept the new solution? While these aren’t easy questions to answer, at times they are ignored altogether. I recently saw an energy company with incredible potential. After reviewing with subject matter experts, the question wasn’t IF it would be successful… that answer was YES. The question was WHEN. And unfortunately, due to intertia of target users and some industry barriers, it would be a long road before significant market adoption. Unfortunately, many great technologies die b/c they are too early. Currently they were at 10k / customer and project to achieve upwards of $40k / customer for certain large opportunities. I then asked for the Total Available Market… so, not what’s currently available, but what will be available in ideal situation where they have total access to all global customers and the ideal product offering to service them. The founders answer to this question was 4,000 customers. While I’d typically proceed to questions on breakdown of customers within market and the expected revenue for each, I didn’t have to for this one. If you take the ideal revenue per customer @ $40k and multiple by the ideal target market 4,000… that yields a total market size of $160M. And this is the ideal, best case scenario… the actual target market is likely much lower than this. So, if we’re looking for 9-figure companies that have the potential to achieve revenue of $100M or more, this example shows that the market size is far too small to get there. 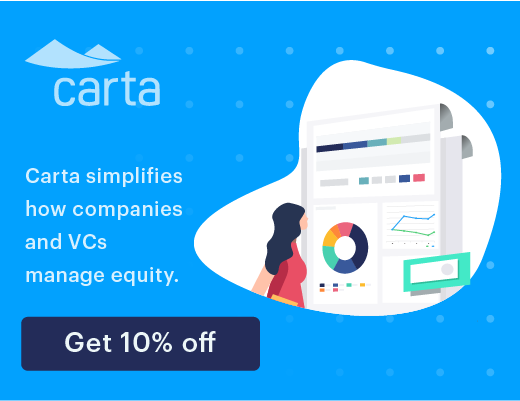 Now, if the valuation was exceptionally low, an investor would not need to target an out-sized exit, but as you can expect, this startup had strong traction and was raising at a market-level valuation. That will wrap up this episode of best practices. 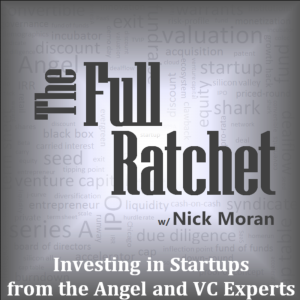 Head over to the full ratchet for summaries, notes and resources discussed on today’s show. If there’s something you think we’ve missed or something you’d like to add, please feel free to leave a comment on the post. I’ve recently discussed w/ some venture practitioners about putting together a weekly feed of the best and most relevant articles in venture capital. Not just a bunch of links but rather one destination that reads like a newspaper or magazine. I’m often asked what blogs, sites and newletters I read to stay current and as discussed on episode 16 with Erin Griffith, there’s just too many to efficiently subscribe to and filter through every week. So, I’m considering taking my usual daily process of reviewing the landscape of material and then just selecting the best stuff to put together in an easily readable format. Imagine ten articles including content from, for example, Fred Wilson, Marc Andreesen, Bill Gurley, Brad Feld, etc… too many great minds to list here and it takes me a ton of time every week trying to read through and aggregate the good stuff. So, if this is something that I put together on a weekly basis that you would read, shoot me an e-mail at nick@fullratchet.net. If there’s a significant enough number of you that would read it, I’ll start putting it together and, if I don’t hear from that many of you I’ll assume it’s not worth putting together. Okay that’s it for today. Coming up on next week’s episode we have Joanne Wilson, the one and only Gotham Gal, weighing in on shady and predatory practices of investors toward other investors and startups. Until then remember to overprepare, choose carefully and invest confidently. See you next time.